How Can I Regularly Update My Website Or Have A System In Place To Help Me With It? Websites have become one of the most important resources for businesses to promote their products and services, establish their brand and reach a wider audience of potential customers. You are of course reading an article published online and it has its own process and story behind it. Owning a quality and active website is a crucial element of entrepreneurship for many (if not most) online businesses, and of course updated content is a part of it. 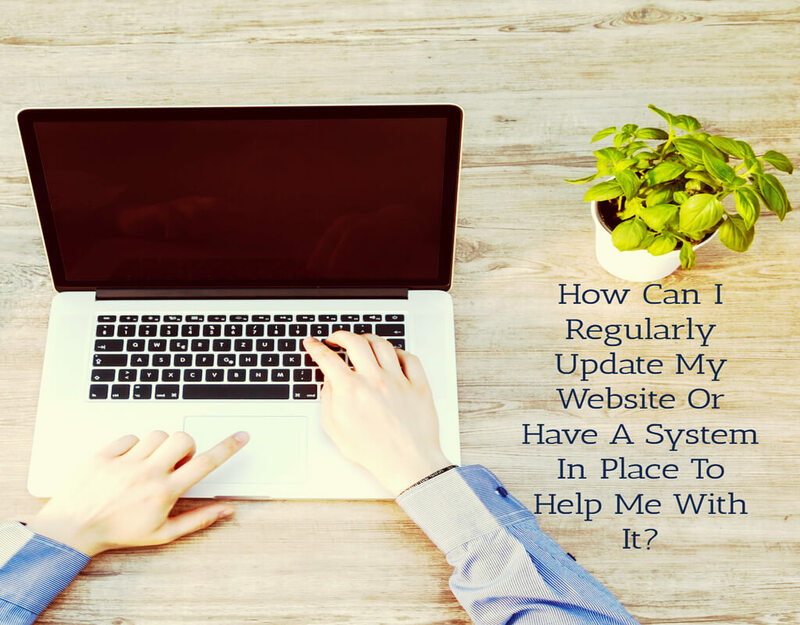 But how do you create an effective plan to update your website? In this article, I will walk you through the simple and practical steps you can take to make sure that your website is regularly updated with quality content. Let’s say that you want to upload new content to your website weekly. If you know that this will take you more than 15 minutes, you should add it to your calendar. In this way, a finite amount of time will recur on your calendar weekly and will be accounted for. It is surprising to see how often we cannot complete our tasks just because we do not have a clear idea of how long they will take and when we will really need to tackle them. Having your content update on your calendar will make sure that it also exists in your mind, and that it has a clear timeframe. The nature of your calendar appointment will depend on the nature of the task. Let’s say that you have a WordPress site and know that you have to update the plugins so that it stays up to date: you can simply type this down on your Google Calendar. If instead, you need to update an article, you may want to create a Trello card or Google Doc with more granular information and instructions – create title, find media, edit document, etc. Productivity-wise, I am convinced that keeping all the links and documents in one place is extremely important. Having to go to Dropbox or Google Drive in search of a file will represent a prime time for distraction. You will possibly be annoyed that you have to leave your current tab to go look for the file somewhere else, and all of a sudden you will find yourself on your email, or receiving a notification and replying. Once you have everything lined up for your current project, you will be more likely to temporarily ignore the message and go through with your task. Having everything in front of you when you need it is a tried and tested, popular technique: Ramit Sethi and many more swear by it. It will save you from being irritated and literally waste your time looking for something at the wrong time. These few simple tips should put you on the right track to successfully update your website and its content. Of course, more specific tips apply to specific types of websites, but I am certain you will be noticeably more productive if you start from your scheduling techniques and resource placement.